CHEERING FOR THE LADY BUCKS VS. IL 1-22-2012. 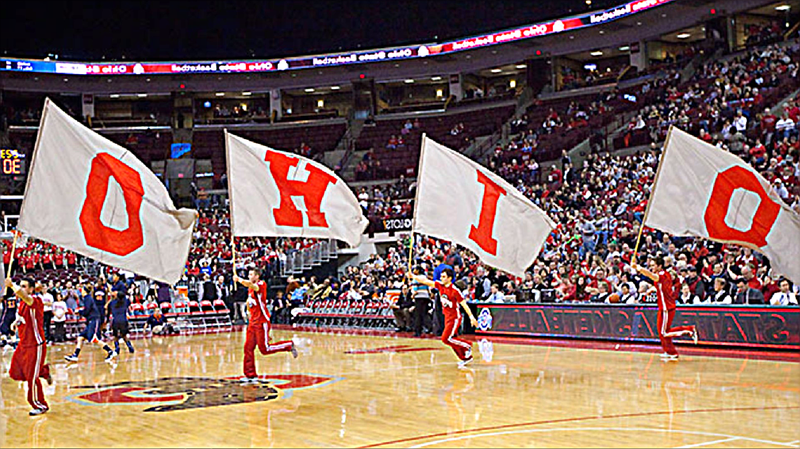 CHEERLEADERS RUN THE COURT AT VALUE CITY ARENA 1-22-2012. 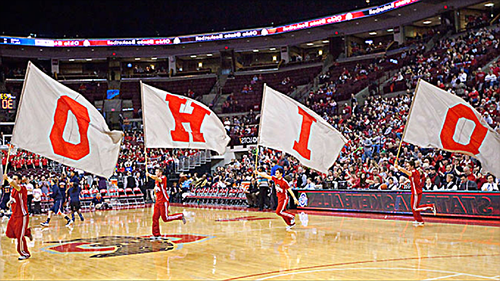 HD Wallpaper and background images in the pallacanestro, basket club tagged: ohio state buckeyes basketball cheerleaders.